Tales From Yesterday For more than 25 years, the music of Yes has been thrilling music lovers throughout the world. Not only did this band create exciting new albums of incredible songs, it virtually invented an entirely new style of music... orchestral, symphonic, sometimes folk-influenced rock with lyrical content and social conscience. The band, Yes, and its musicians (both current and former) are still creating music today and have spawned new generations of musicians who have waited for an opportunity to thank their musical "fathers" for the creative energy that Yes inspires. 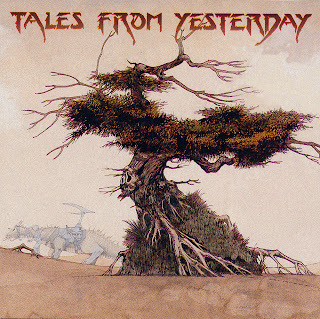 Now, "Tales From Yesterday... A View From The South Side of The Sky" gives the world an opportunity to hear past and current members of Yes as well as their musical offspring (both figurative and literal) re-create Yes material from new perspectives and with wisdom that only the passing of time allows.